Australian Catholics for Equality are community members from the diverse spectrum of Australian society that celebrates the gifts and the lived experiences of Lesbian, Gay, Bisexual, Transgender, Intersex, Queer (LGBTIQ) Catholics as part of our lives. 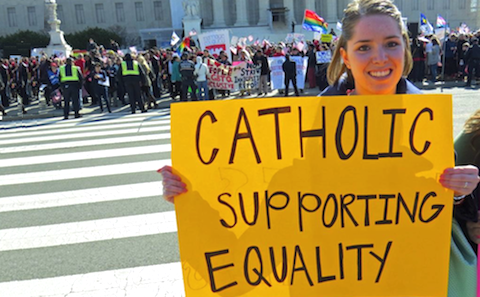 We do so in the Catholic Christian tradition encouraged by Catholic Social Teaching and social justice values to ensure that the inherent dignity of each individual persons are “accepted with respect, compassion, and sensitivity” (2358 CCC). That our faith journeys, experiences and stories as LGBTIQ Catholics, friends, families and allies are shared and celebrated in solidarity. We bear witness to the Gospel of Jesus Christ, advocating peace with justice and equality for all peoples!